A well rounded sublime, well packed with a solid body. The wrapper is medium brown slightly oily and has a minimal veins. The pre light draw was almost perfect with just a little amount of resistant, delivers a pleasant woody “cedar like” with earth pepper and leather aromas. Initial draw was straight medium body flavorful mostly sweet Cedary earthy tobacco has a pleasant pepper playing on the back ground. 1/2 an inch down the smoke started to get richer and thicker, the cedar is in core with more pepper and floral flavors and hints of orange peel and leather. By the end of this third espresso added to the flavors profile and the body in to the medium range. This third kicks off with rich sweet Cuban tobacco, espresso and pepper and the cedar took the back seat with both cocoa and earth, the body got to the upper side of medium. By the midway point the flavor profile gets more complex with more stuff joining the party. The orange peel became pronounced and some nutty almonds like flavor to coat the palate, the cedar became more like a wet wood and the body more like medium to full. The flavors stay rich and the smoke is cool by the end of this third. While we left the 2nd third complex here’s the peak. Including to the above profile the earth got richer and the espresso shot doubled while the body still medium full. farther in the third caramel jumped in to be added to grab more attention while smoke still cool. By the end of this journey the smoke gets little bit hotter yet pleasant and the body still med-full. In my opinion this is a class “A” cigar and a winner by all means. 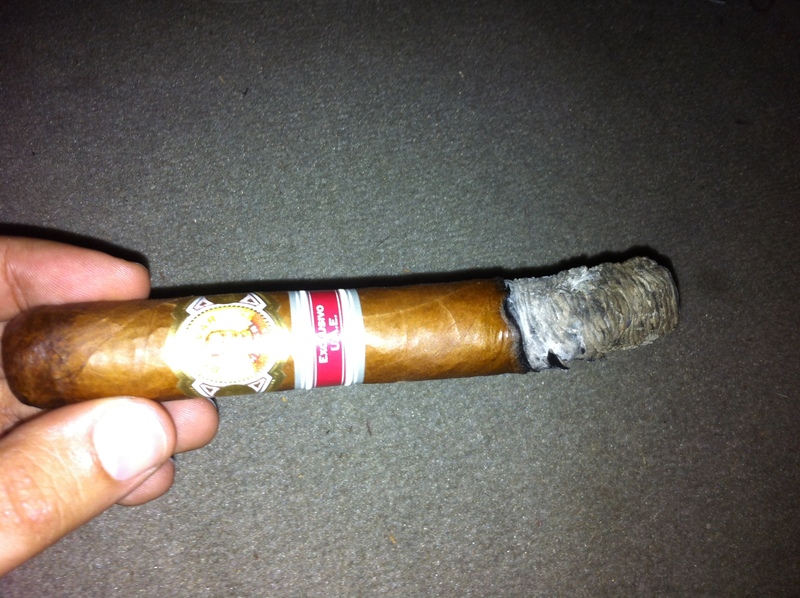 Very complix and pleasant, well constructed and has everything a good cigar should have. Eight months have shown a lot of this cigar, however couple of years should do more in the complexity department. 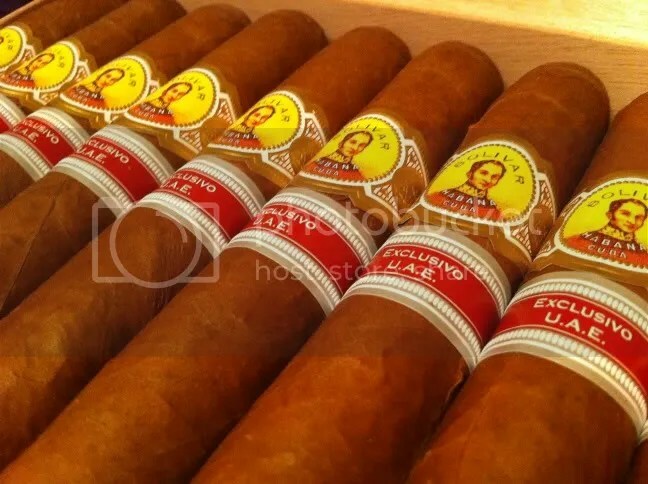 It is a must have for Bolivar lovers and collectors, if you’re planning to visit the country or transiting in Dubai arrange to get your hands on a box while they’re available. That’s all about it so hope you enjoyed it. If you did press “Like and Rate” be well. Although this review is tempting me to crack my box open. I’ll have to gather all my well power and refrain from doing that. Trying to age them for at least 2 more years. These look great, it’s a shame it’s tough to get samples of these regionals without actually travelling. This is indeed an excellent cigar and the review is fair and does it justice. My only issue has been that one of the cigars was VERY tightly rolled and made the draw extremely difficult and one other had a very uneven burn with one side burning nearly two inches in front of the other. Other than these two issues, the five others of the box that I have smoked are fabulous!! !